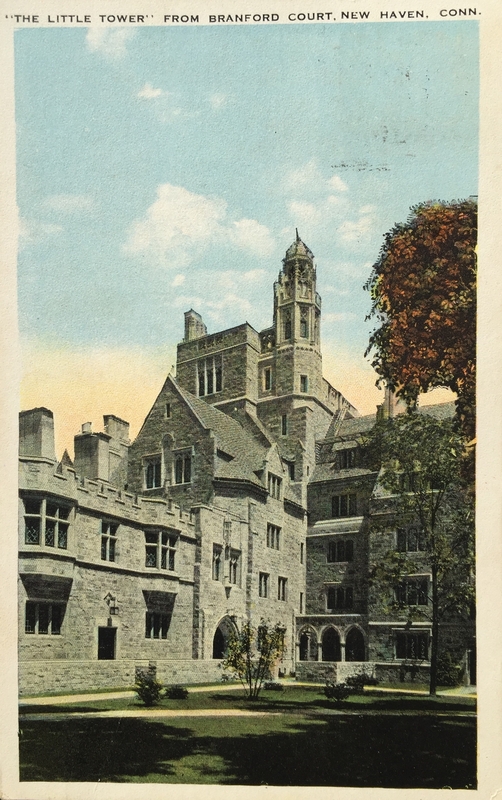 Verso of Congress Hall, Philadelphia, PA. This is one of those times when I haven’t anything to write about. May have some news by Saturday. Will send you a special, to reach you Sunday am. 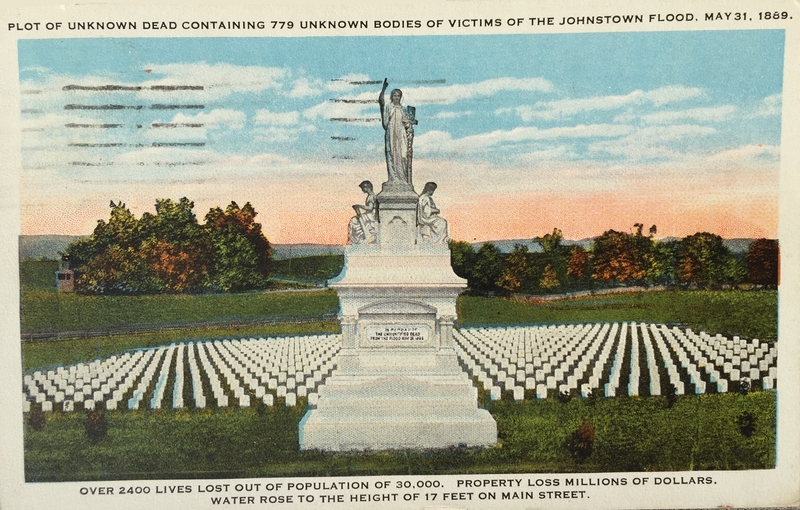 Plot of Unknown Dead Containing 779 Unknown Bodies of Victims of the Johnstown Flood, May 31, 1889. Over 2400 Lives Lost Out of Population of 30,000. 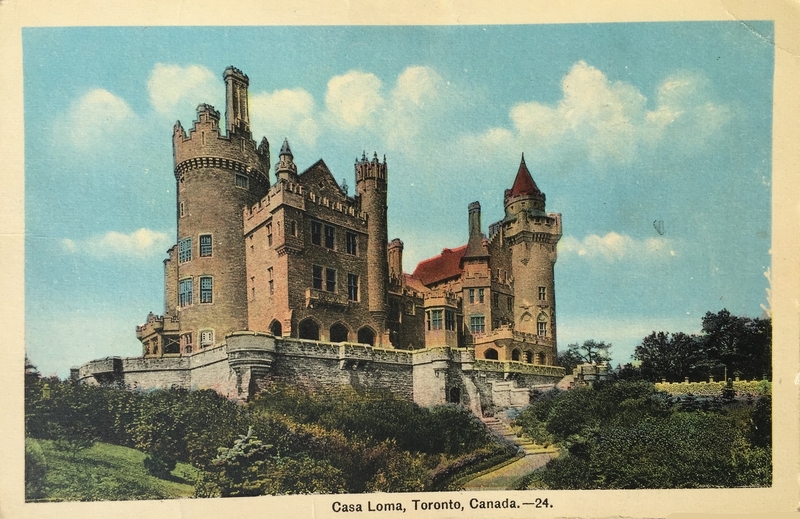 Property Loss Millions of Dollars. 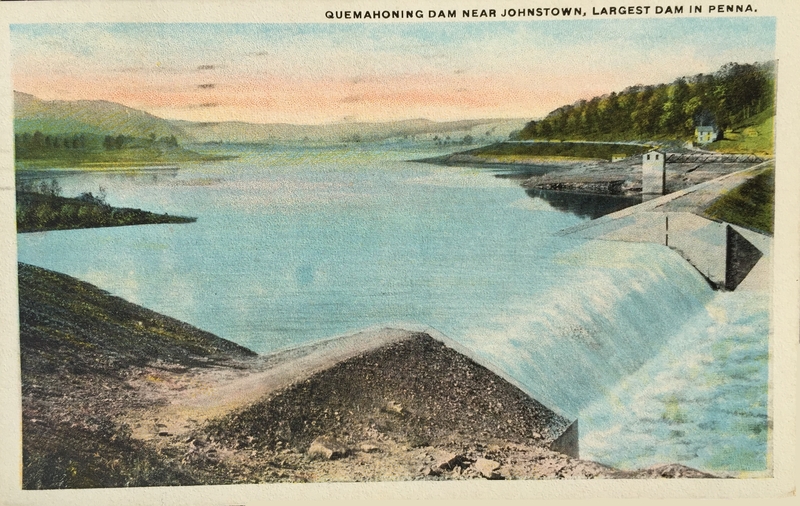 Water Rose to the Height of 17 Feet on Main Street. 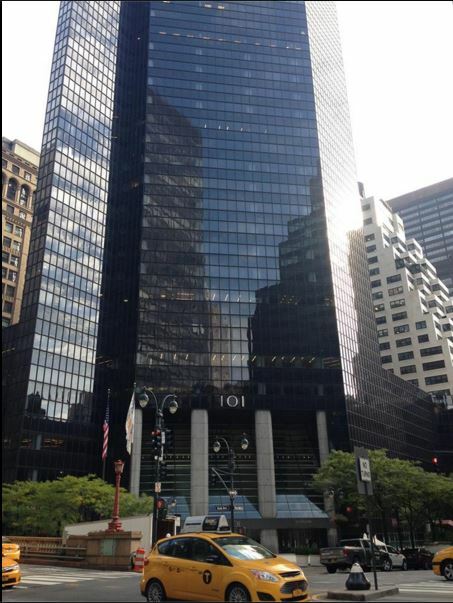 address: Miss Virginia M White, 103 Park Avenue, New York, N.Y. c/o Stehlin, Miller, Hines Co.
We are here and on the job. Will write you tonight. 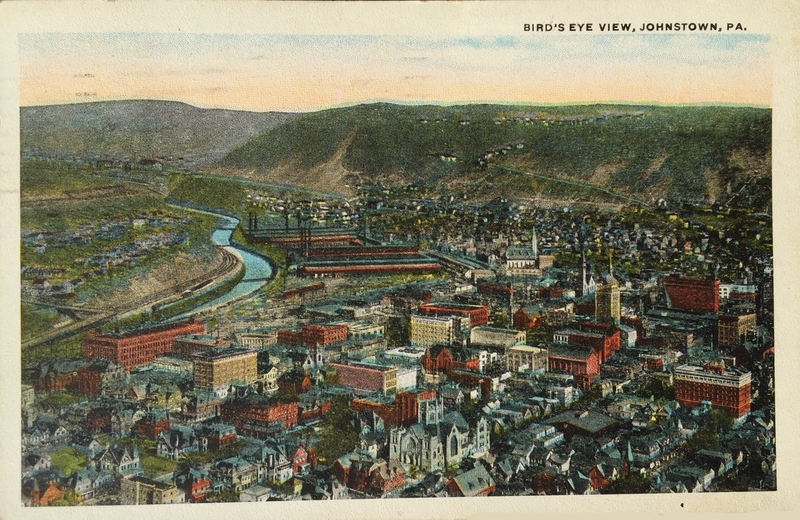 Cambria Public Library, Johnstown, PA.
View of Cambria Steel Co. Johnstown, PA. It will be a shame if both of us are disappointed Saturday. 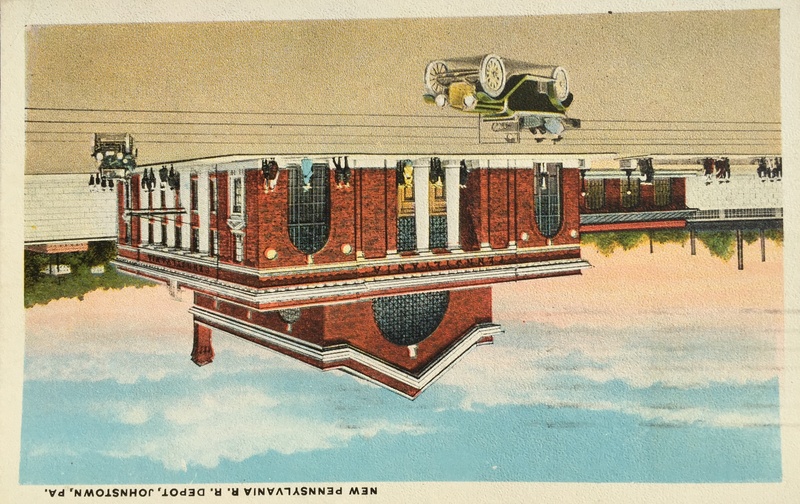 Bird’s Eye View, Johnstown, PA.
New Pennsylvania R. R. Depot, Johnstown, PA.
Luzerne Street, Westmont, Johnstown, PA.
I’ll be disappointed if I don’t see you Saturday. 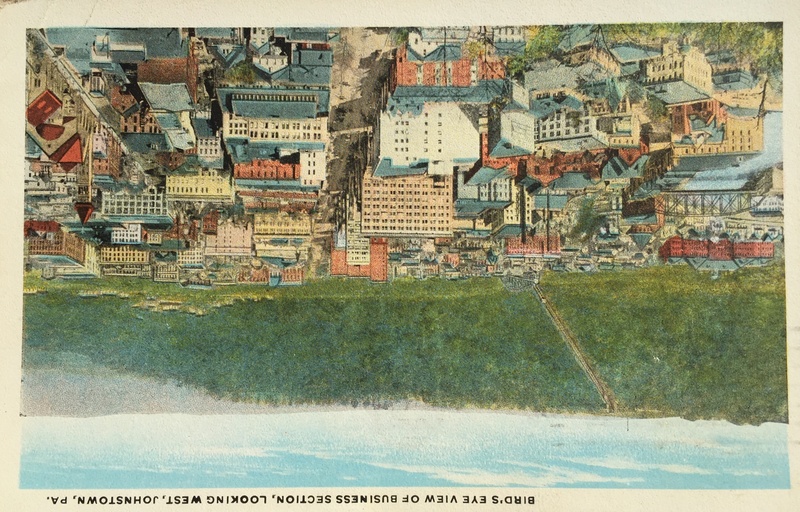 View of City Park, Showing First National Bank Building, Johnstown, PA.
Bird’s Eye View of Business Section, Looking West, Johnstown, PA.
Quemahoning Dam Near Johnstown, Largest Dam in Penna. If I leave here Friday night, I will surely see you Saturday. I’ve made reservations to leave here Friday 10:32 PM. 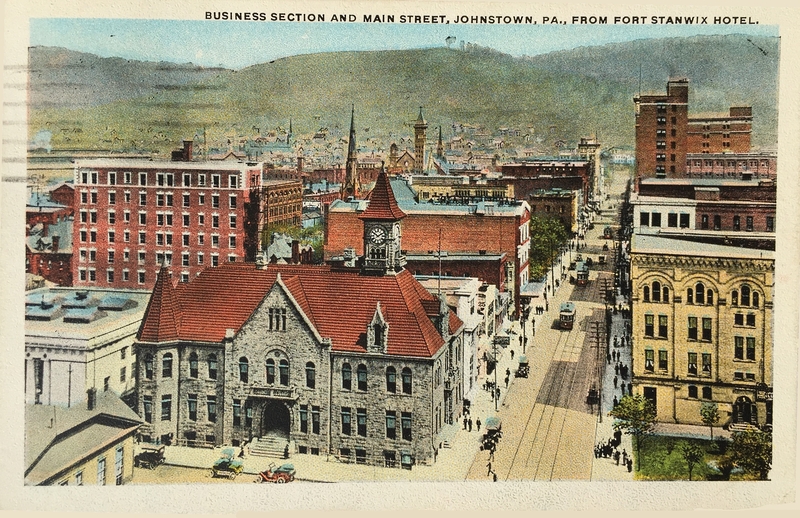 Post Office and Mayer Building, Johnstown, PA.
Business Section and Main Street, Johnstown, PA., From Fort Stanwix Hotel. 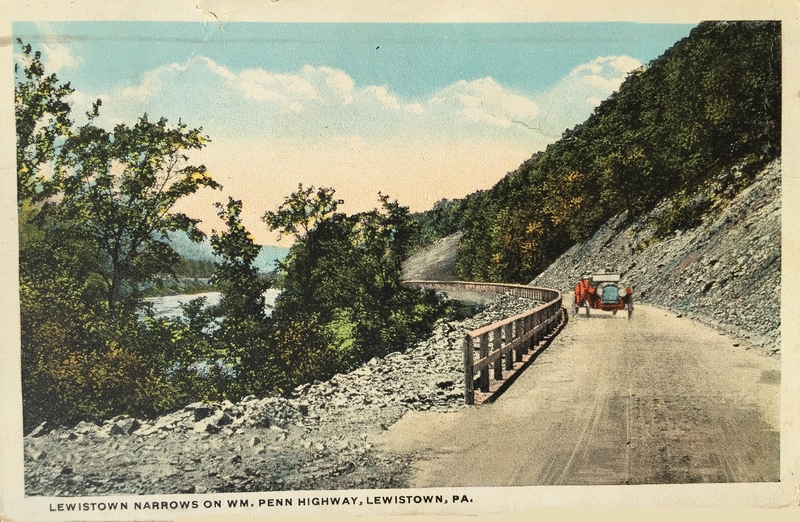 Am arranging to arrive Penn. Sta 1 P.M. – Don’t hurry I’ll wait for you at Waiting room entrance. 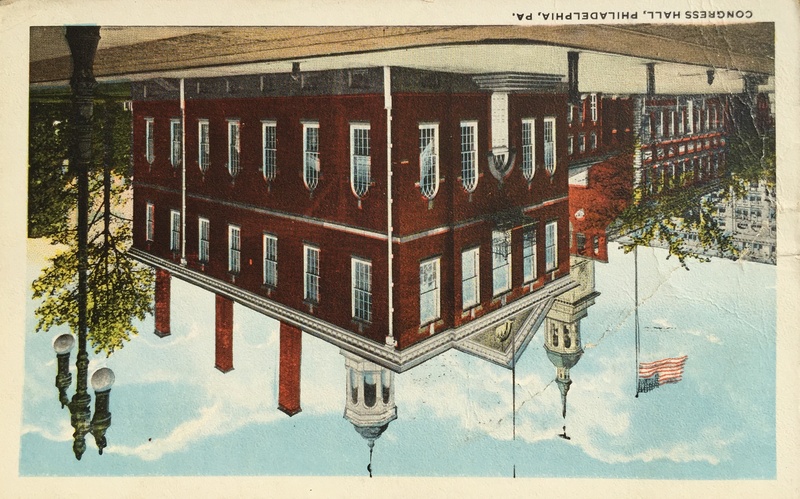 Fort Stanwix Hotel, 200 Rooms, 175 Baths. 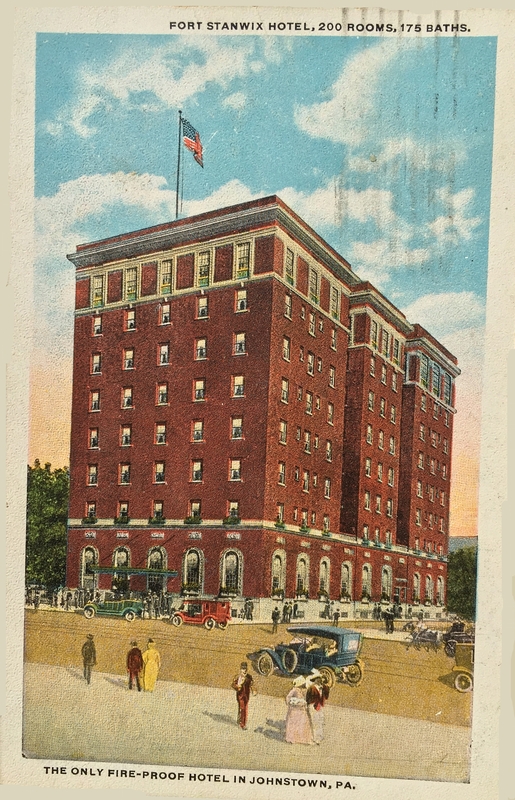 The Only Fire-Proof Hotel in Johnstown, PA.
Say a little prayer for a pretty day Saturday. Anyone want to guess as to the reason for this series? Nothing to write? 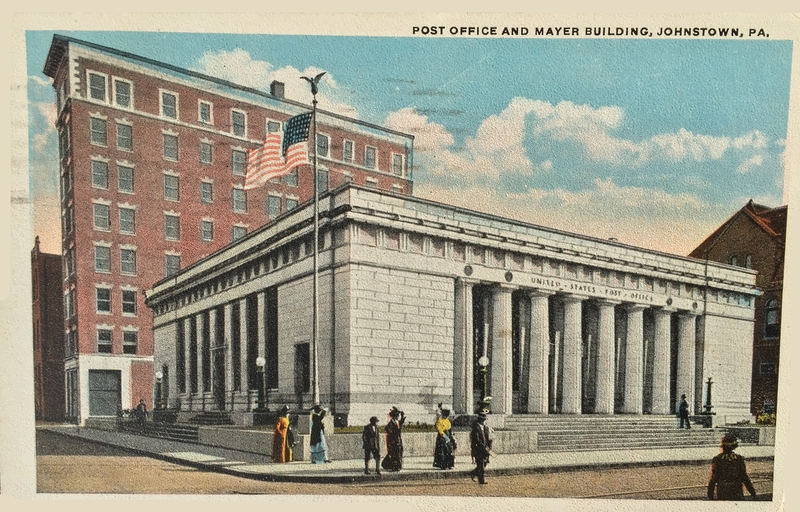 Unused postcards and stamps? Pending wrath of a woman who didn’t receive sufficient correspondence? This was toward the beginning of their courtship. They were married in 1925. What do you suppose was going to happen on Saturday once they saw each other? 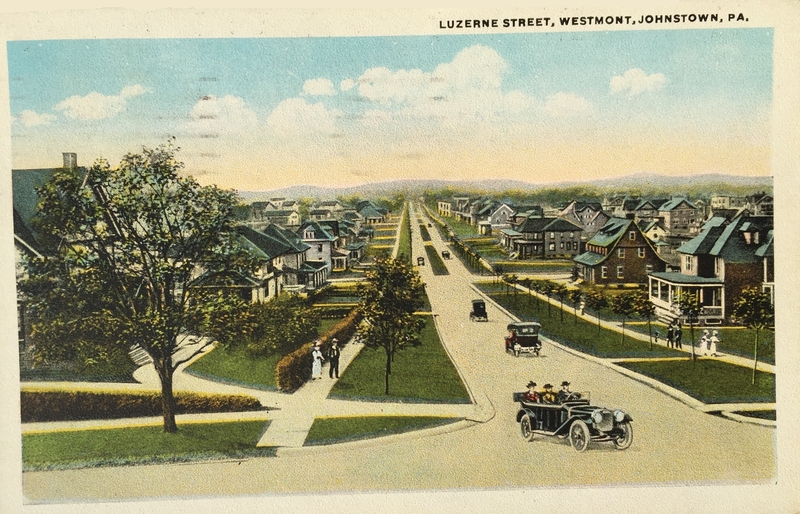 What memories do these postcards jog? What can you add to the stories? This entry was posted in Taylor, Virginia and tagged 1922, Johnstown, Saturday, Trey Duncan on October 28, 2015 by Dawn Duncan Harrell. 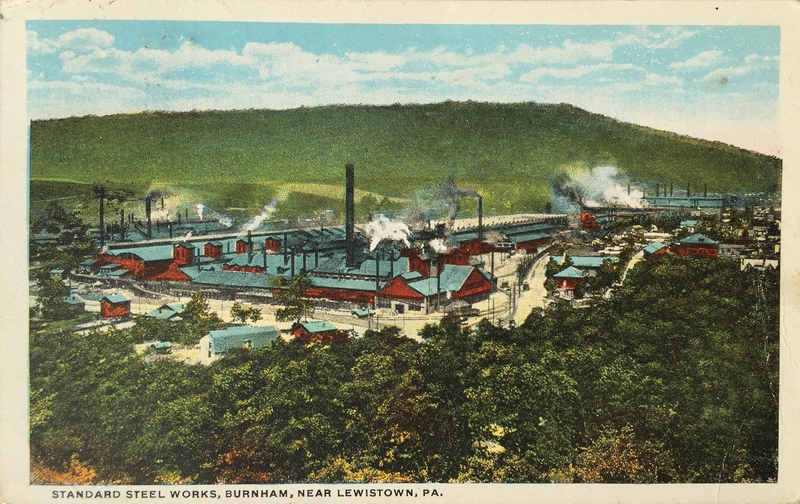 Standard Steel Works, Burnham, Near Lewistown, PA.
address: Miss Virginia M White, 103 Park Ave, New York, N.Y. c/o Stehlin, Miller, Hines Co. Your wire just received and I will be governed accordingly. New Y. M. C. A. 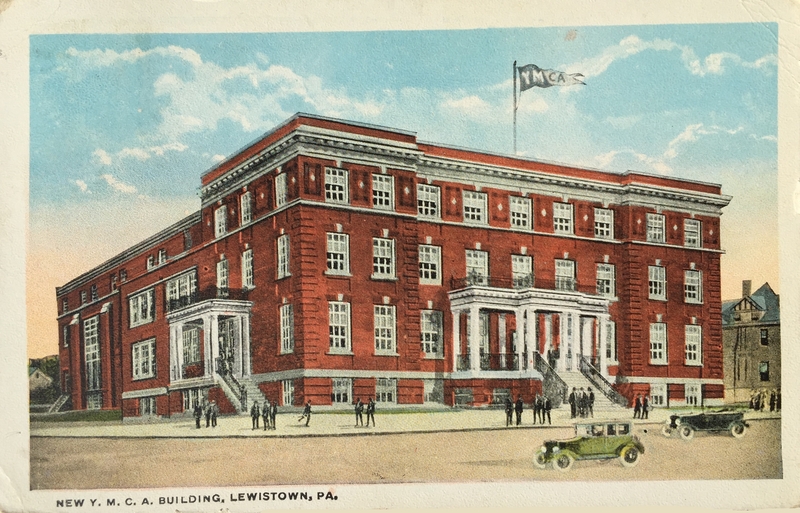 Building, Lewistown, PA.
…Was on the job at 10 am after a good night’s sleep. Found everything going nicely. It has rained almost all day, and now I wish for my raincoat. 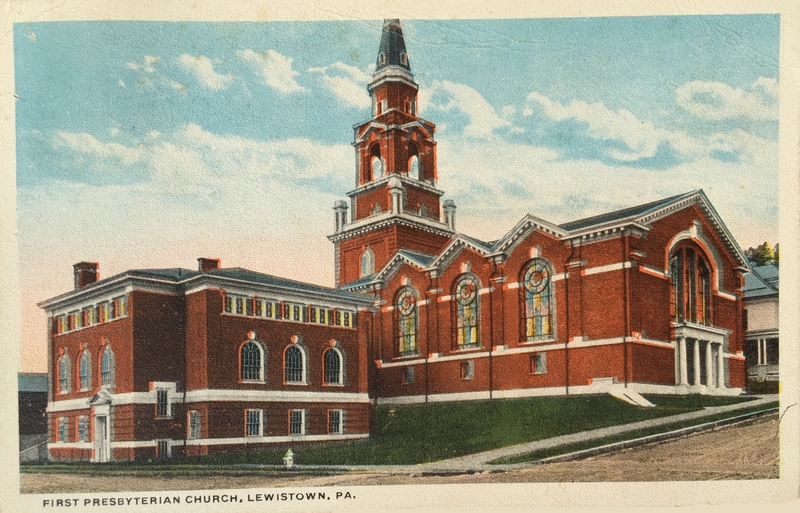 First Presbyterian Church, Lewistown, PA.
until 7 P.M. to avoid going to dinner in a hard rain at 5 oclock [sic], also to get through as quickly as possible. 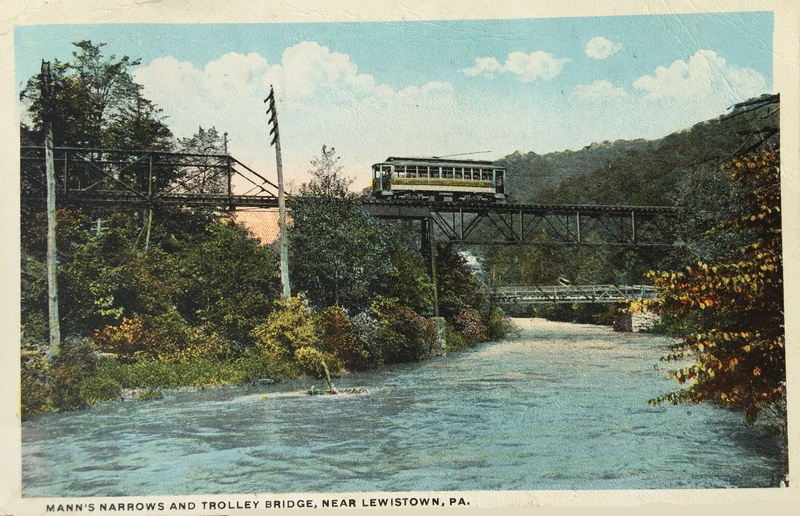 Juniata River Near Lewistown, PA.
Mann’s Narrows and Trolley Bridge, Near Lewistown, PA.
that my mind wasn’t on my job all the time either. …This leaves me feeling fine, I having finished the chicken dinner previously referred to and a good cigar also. …Mr. Esert says his wife is coming next time he comes – maybe she won’t be alone, one never can tell. 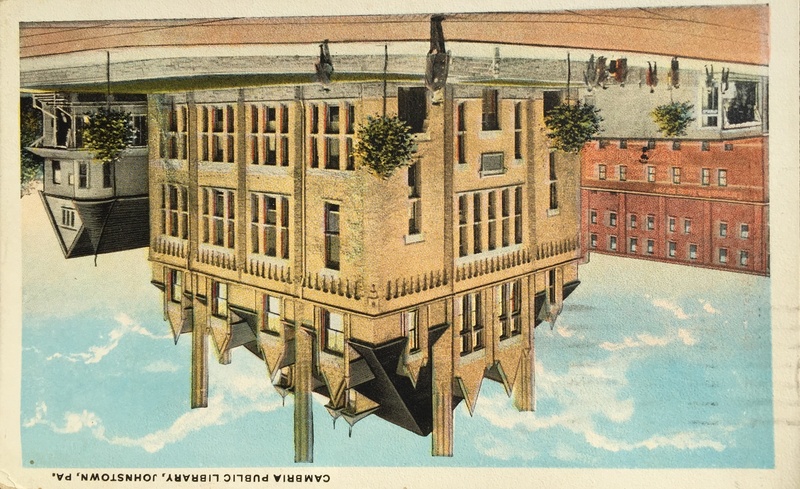 …Must leave you now, will write you a letter tomorrow night. 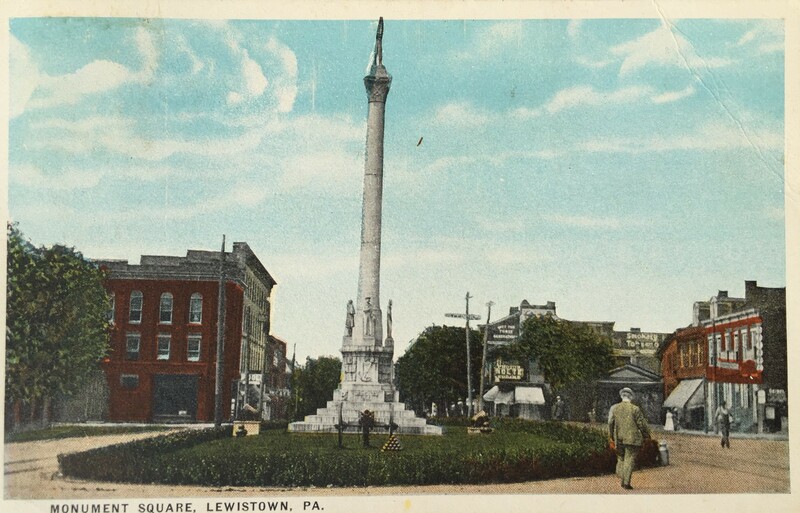 Do you know what Grandpa Taylor was doing for work in Lewistown? Can you tell us your guesses? 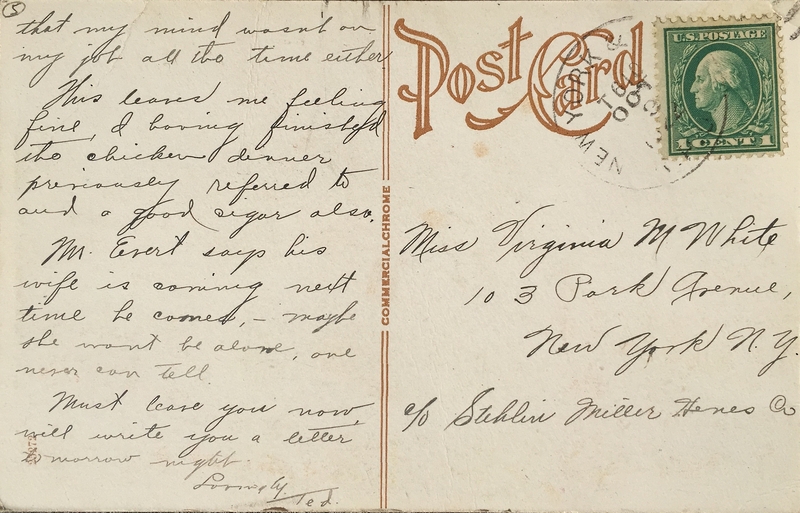 In transcribing this second series, I’ve convinced myself that he’s signing the cards “Ted,” rather than “Tad.” Can anyone confirm that Grandpa Taylor referred to himself that way or that Virginia called him that? Do you recall what Birdie called him? Elsa? Do you remember Grandpa Taylor smoking cigars? Did he do so occasionally? Regularly? What kind of cigars did he prefer? Anybody recall him dotting his “i”s with flowers in other letters or circumstances? Was there a significance to the three-petal construction? 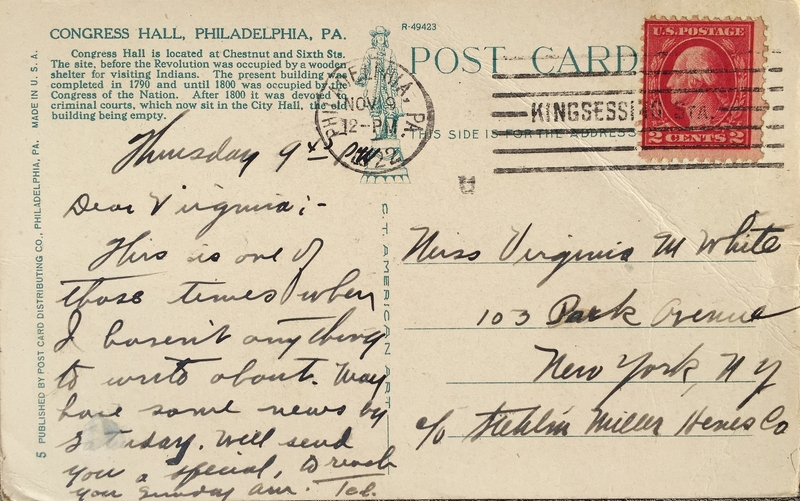 Did he continue this habit in other letters to Virginia? 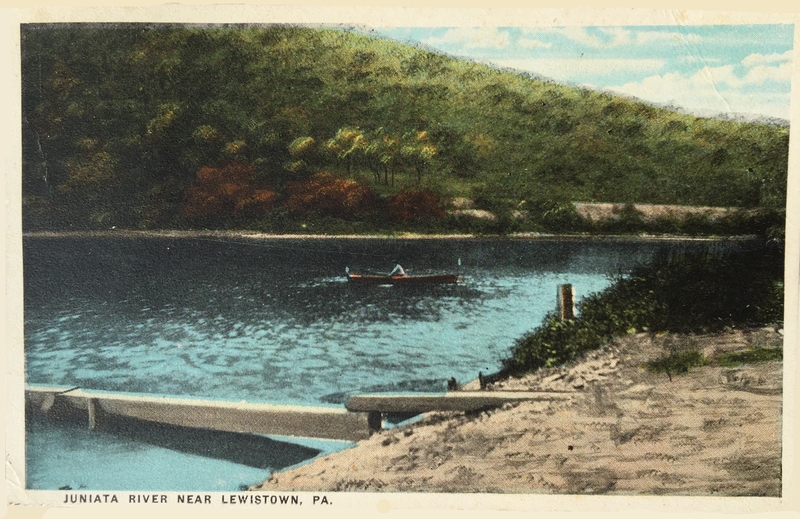 This entry was posted in Taylor, Virginia and tagged 1922, Lewistown, postcards, Stehlin Miller Hines Co., train on October 21, 2015 by Dawn Duncan Harrell. Wonderful two days. Been going since I saw you. Leaving now for Phila. 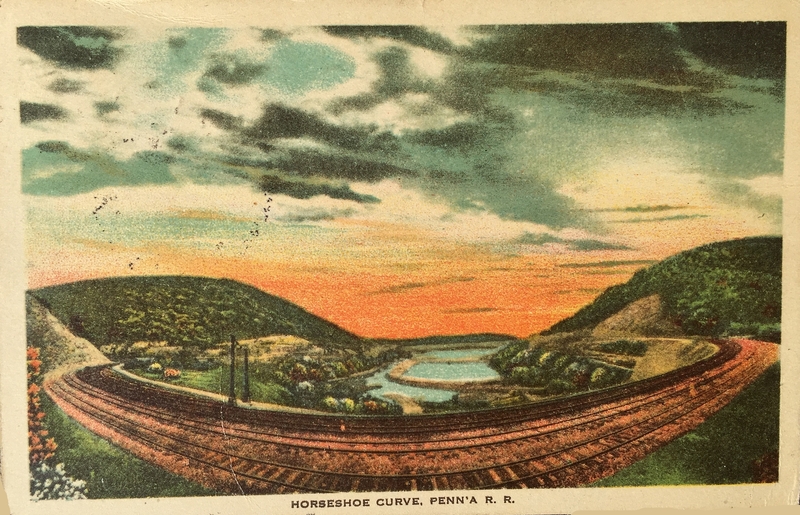 Horseshoe Curve, Penn’a R. R.
On my way as you notice. The view of this curve about 7 pm was wonderful. 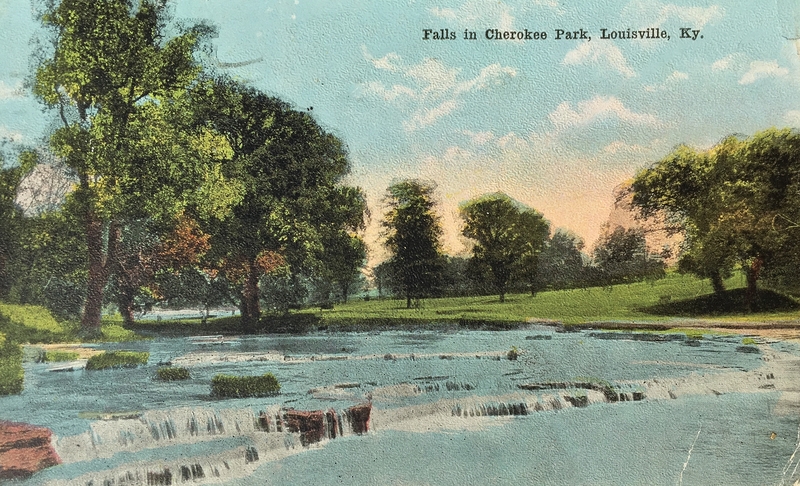 Falls in Cherokee Park, Louisville, Ky.
postmark: 08.22.1922, 3:30 pm, Louisville, KY. I am sweltering under a tropical sun otherwise having a pleasant vacation. Hope to get back to Philly Saturday morning. 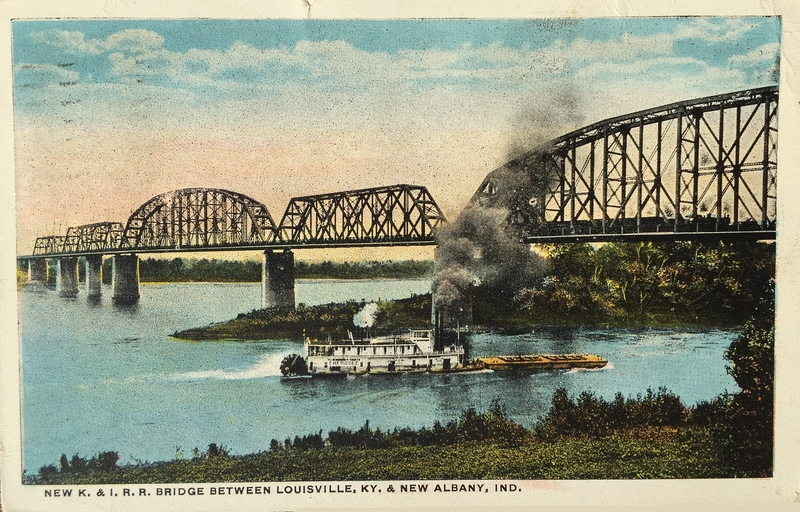 New K. and I. R. R. Bridge Between Louisville, KY. and New Albany, Ind. 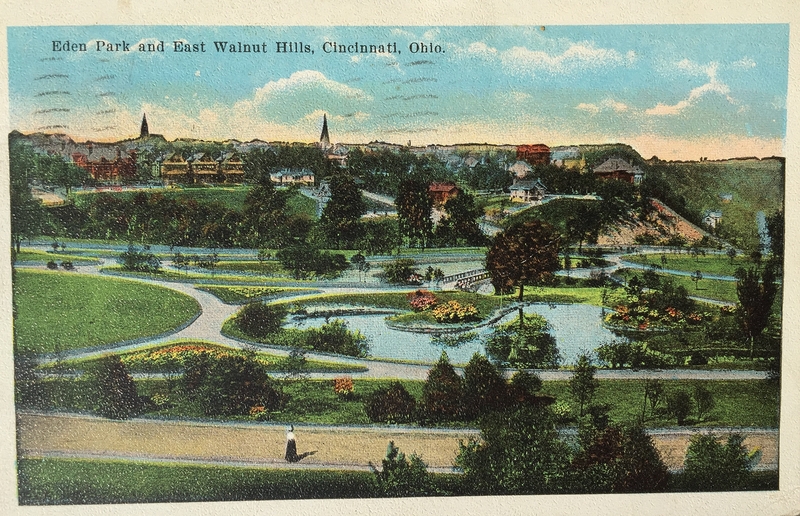 postmark: 08.23.1922, 9:00 am, Louisville, KY. 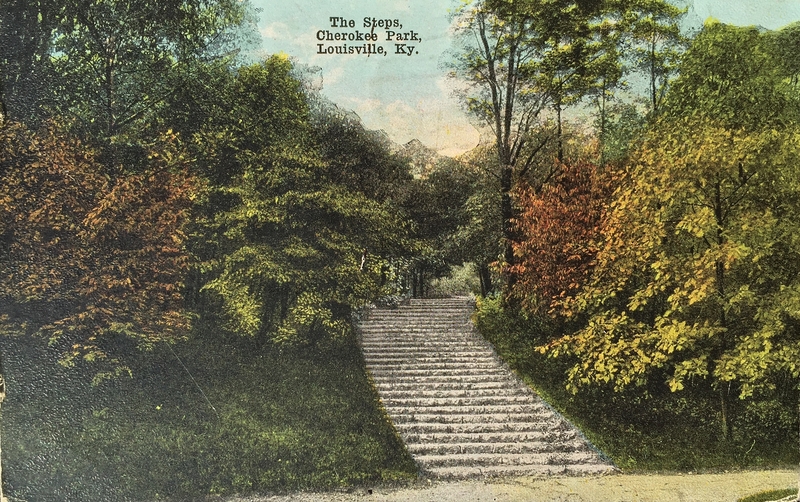 The Steps, Cherokee Park, Louisville, Ky.
postmark: 08.24.1922, 1:30 pm, Louisville, KY.
Just to show you one of our lover’s lanes. Anyone want to guess as to the significance of Taylor’s post-salutation punctuation ( :- )? Early emoji? Who can remember Virginia telling the story of her hopping a train to go visit Taylor while he was on vacation at “home” in Kentucky? Please tell us what you recall. 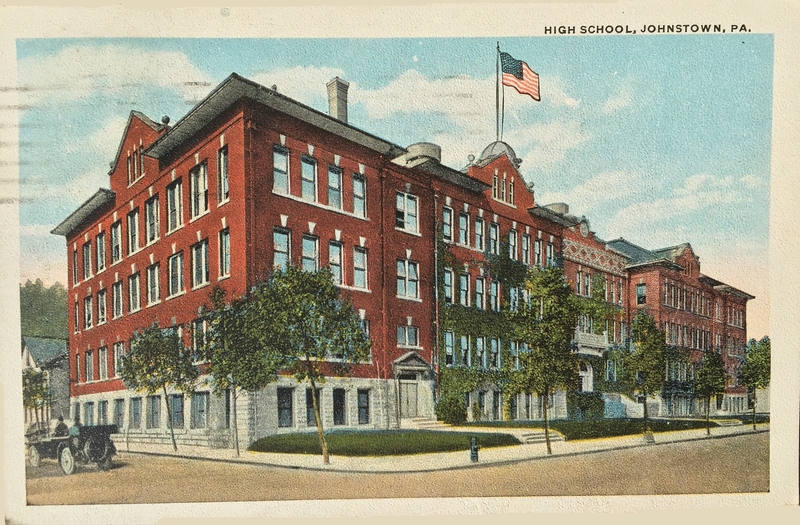 Anybody remember stories of Virginia working at Stehlin, Miller, Hines Co. when she was single? 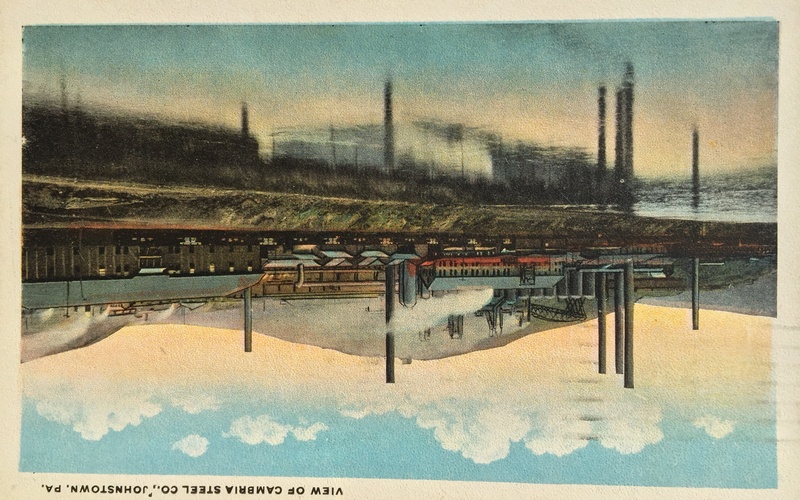 It was some sort of manufacturing / mechanical engineering company. I’ve found the name several times in court documents and in one history that included Stehlin passing the company on to his son. Other than that, nothing. 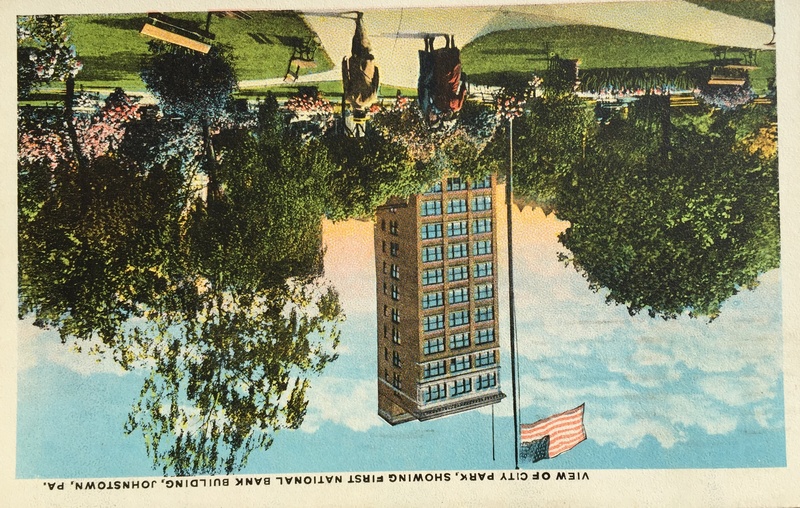 This entry was posted in Taylor, Virginia and tagged 1922, Kentucky, postcards, Stehlin Miller Hines Co. on October 14, 2015 by Dawn Duncan Harrell.